At George Campbell Leisure Centre you can enjoy swimming in our 25m pool during our various sessions from lane swimming to family time. During the school holidays we have sessions to entertain the children and increase their water confidence. 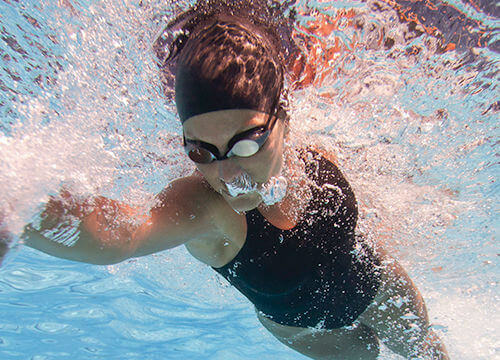 Swimming provides an all-over body workout and uses all of your muscles to propel you through the water. Swimming for fitness is a great way to tone up your body or control your weight as part of a healthy balanced lifestyle. Even half an hour of gentle swimming can burn more than 200 calories, while a fast front crawl can burn as many calories as an 8mph run! SwimFitTM provides a structured set of swimming programmes involving different strokes and training techniques that will help encourage yourself to be pushed. 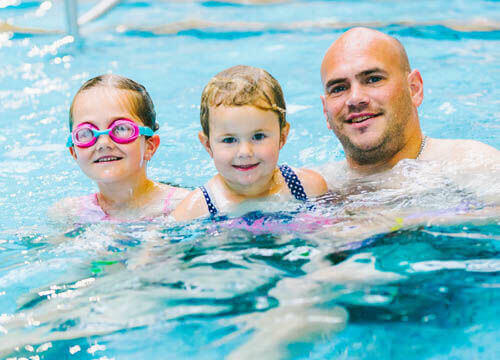 Our instructors are on hand to offer advice and pointers to make sure you get the most out of your swimming sessions. 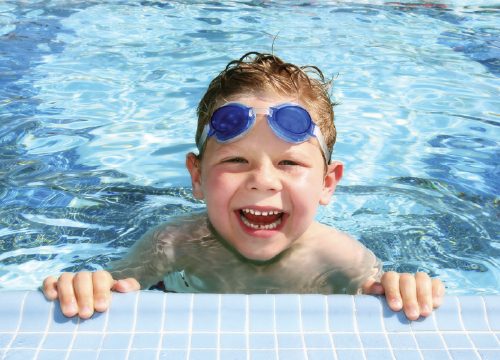 Use one of our premade SwimFitTM cards that offer any swimming session from 30 to 120 lengths.